Truck 1 , 1972 Ford/KingSeagrave 1050/0/75′ snorkel. 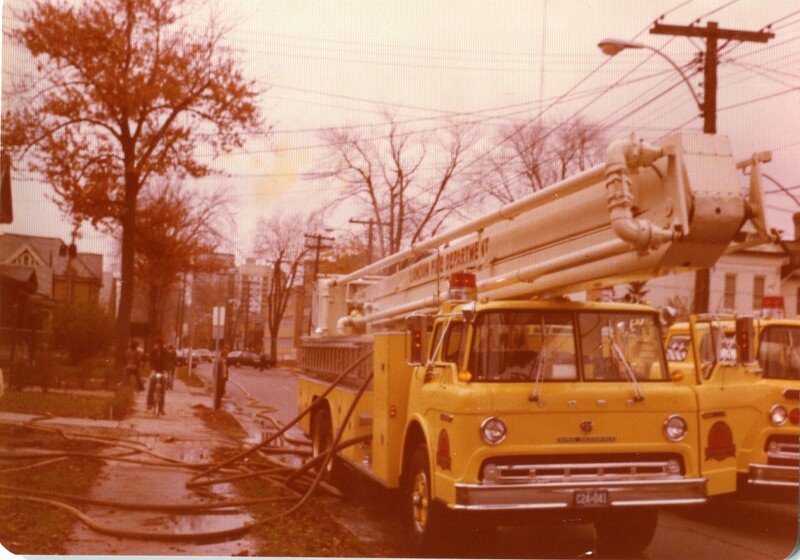 An unusual photo in that it shown here pumping at a house fire sometime in the mid ’70s. 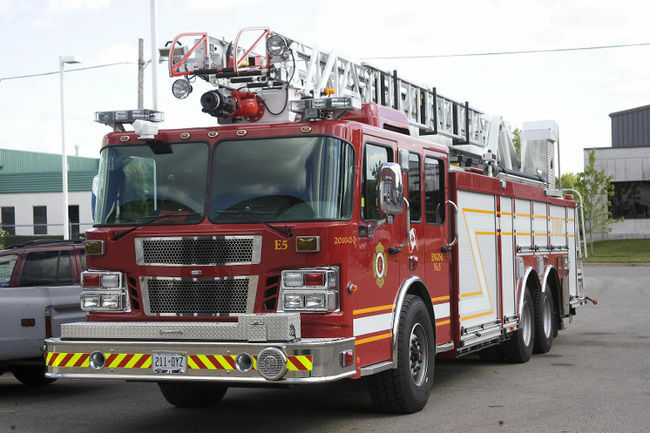 Truck 1 arrived first to the fire,which was on King St West of Adelaide. Engine 1 was returning from another alarm so Truck 1 hit the hydrant and laid lines.